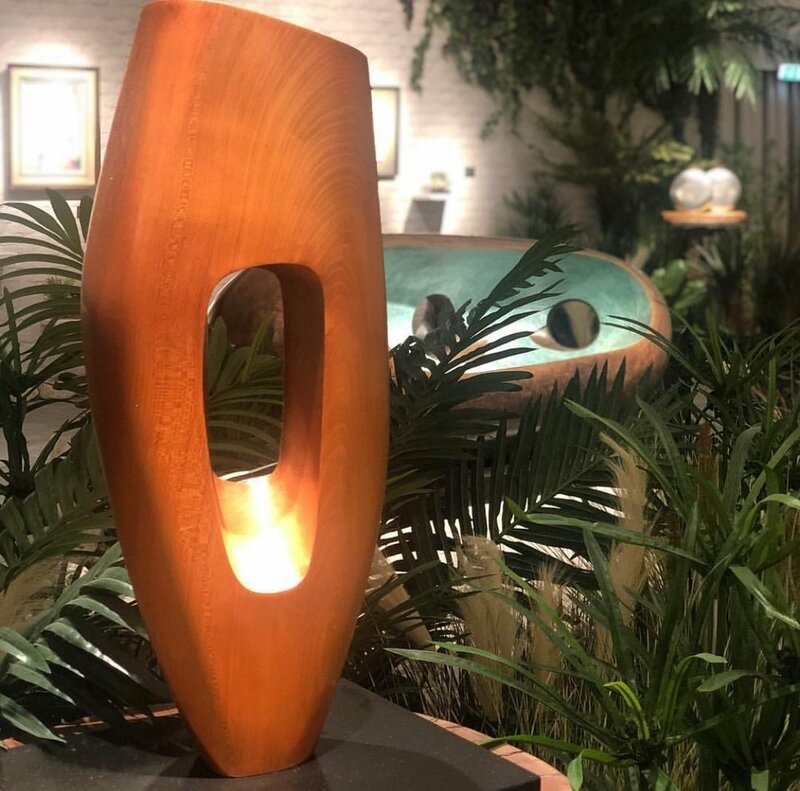 Frieze masters – re creating the world of Barbara Hepworth. Here at Fake It we have been asked over the years to do may unusual projects which we approach with great enthusiasm and occasional trepidation. Of late however, by far he most exciting and unusual project request was by the London based Dickinson Gallery to re create Barbara Hepworth’s magnificent Trewyn Studio garden in St Ives. 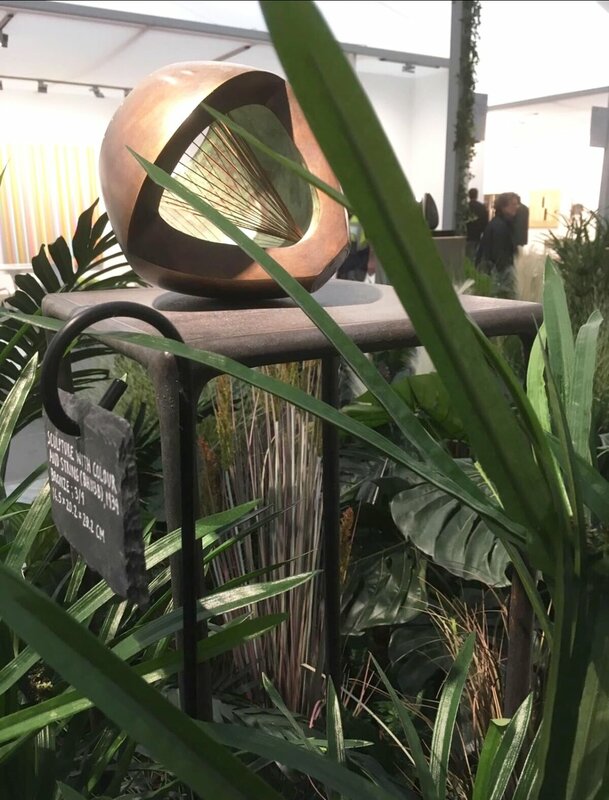 The garden was to be part of a display stand at Frieze Masters 2018 London show, with the plants from Fake It surrounding some of the most spectacular Hepworth paintings, sculptures and drawings. Not only did the garden have to do the magnificent artworks justice but also we had to faithfully re create the loose planting style and structure of her beloved Trewyn garden which she laid out herself with the help of her friend, the composer Priaulx Rainier from 1949 through to 1969. Planting – how did we re create St Ives? ﻿The mild climate of St Ives and its seaside location lends itself to a very specific form of planting which we lovingly tried to re create with our faux greenery. The hard landscaping created swirls of narrow paths and rockeries for us to fill with dense greens through which there would be the astonishing reveal of the magnificent bronzes. Grasses are highlight indicative of her magnificent garden so we used lots of faux zebra grasses and fountain grasses. Large glossy leaf monstera and ferns added a sculptural quality. Paradise palms and bamboo all replicated the beauty of Trewyn. We were obviously delighted with the reviews but by far the most satisfying part was that once the exhibition had finished the Dickinson gallery would then donate the garden to Herriot Hospice Homecare to decorate their Yorkshire medical centres. This donation would celebrate Hepworth’s Yorkshire origins and her interest in the medical profession.